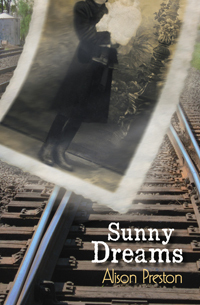 On a spring morning in 1925 Sunny Palmer is kidnapped in broad daylight from her baby carriage in Picardy’s restaurant in downtown Winnipeg. Despite a police dragnet and a handsome reward offer, months pass with no word, and eventually the search is called off. But eleven years later, the appearance of two drifters suddenly reopens the case. The story takes place in the Norwood Flats section of Winnipeg, the same setting as Preston’s previous novels. This time, though, the action takes place mostly in the Depression year 1936, and we meet the grandfather and father of Frank Foote, the detective who has played a pivotal role in Preston’s previous books. Purchase ebook from Amazon, iTunes, Barnes & Noble, or Kobo.